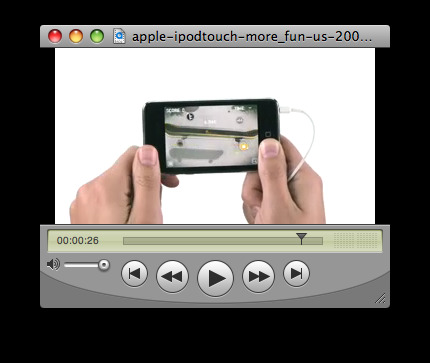 This is a new iPod touch advertisement. It has just been published to The Daily iLife podcast, which you can subscribe to in iTunes or watch here. This commercial is similar to the last iPod touch ad, showing off even more games you can get in the App Store featuring No You Girls by Franz Ferdinand. 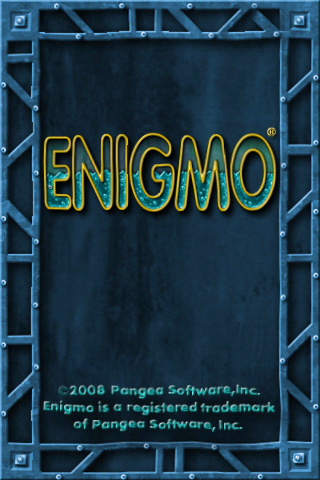 Enigmo is a game with a simple concept – get the water/fire/oil into their respective containers. 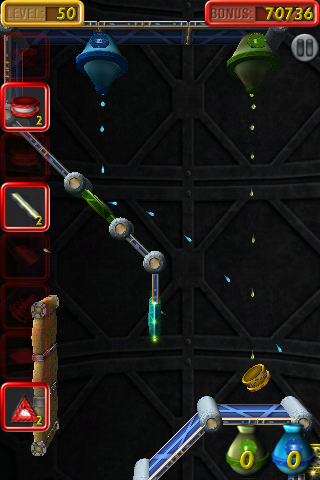 You get to use a variety of tools, like ramps, cannons, sponges, and springs to move the droplets around the level. The goal of the game is to fill up containers to their maximum of 40 drops, simultaneously, to move on to the next level. What’s interesting is that you also have to deal with obstacles, like force-fields that you have to turn off by shooting some of your drops through a ring to shut the force field down. There is a lot of content in this game. The game comes with 50 levels, and you can download user-generated content so you never run out of challenges. But you won’t fly too quickly through all of the original 50 levels, some are very difficult and require a lot time to figure out. The biggest downfall of the game is that the difficulty curve isn’t gradual. At times you’ll be ready to delete the game in frustration because it’s so hard, and you don’t want to deal with it anymore, but then the next level is a cakewalk. For the $1.99 price tag, you could do a whole lot worse than Enigmo. The game gives you a lot of content for a small price, and when you feel like your brain needs some exercise it’s a great little game to play.